Come to Bob’s for classic diner options that customers love – great burgers, breakfast all day, thick milkshakes, and a variety of pies and cakes. 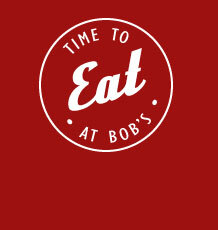 Fresh food and great taste is a priority at Bob’s. 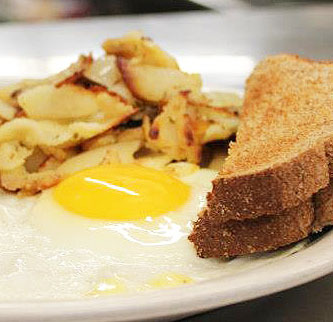 Try 2 eggs with home fries & toast, just one of many breakfast options. And breakfast is served all day! 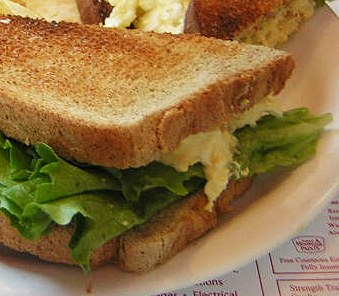 Your choice of bread, fresh bacon and real roasted turkey makes a great turkey club sandwich. 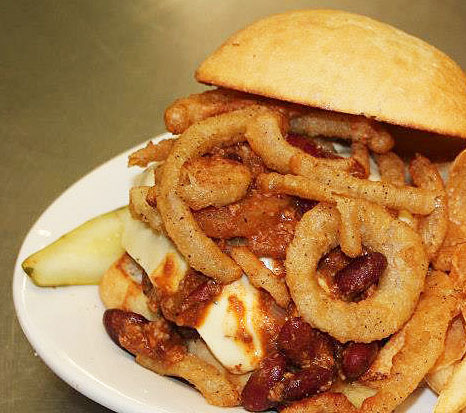 A Black Angus burger, with homemade chili & pepper Jack cheese on Ciabatta bread – fried onions on the side! 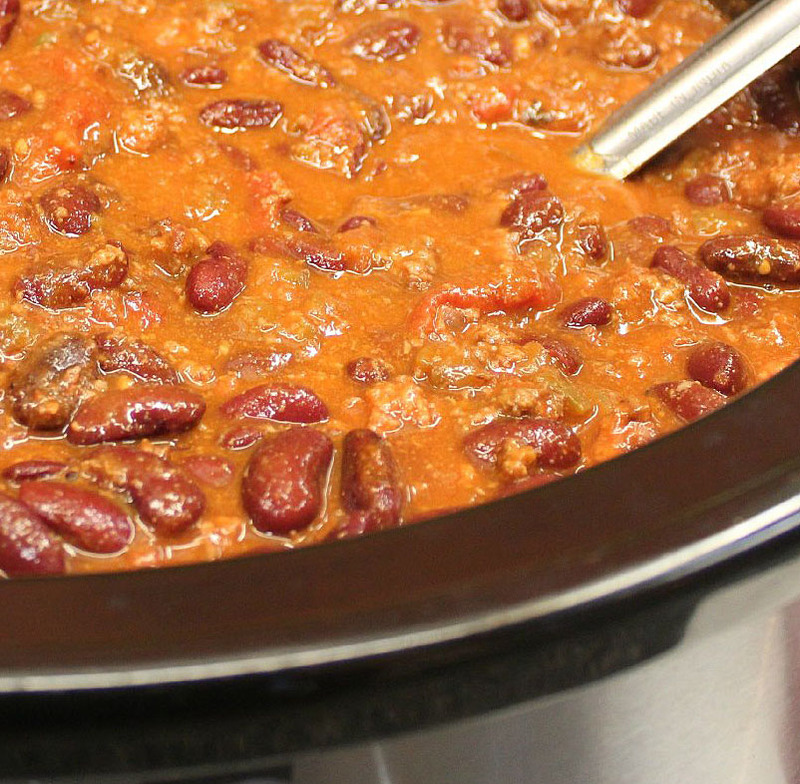 Made fresh daily, our chili makes for a hearty lunch or dinner. There are daily soup specials, too. 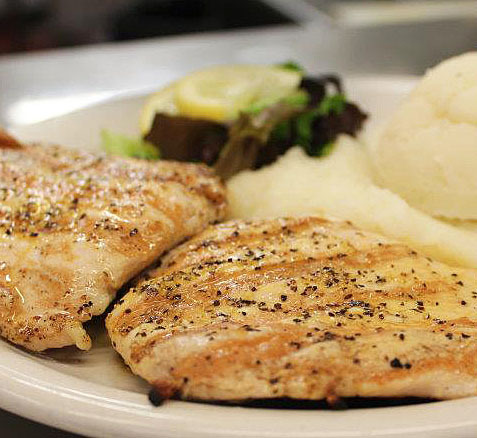 Lemon pepper chicken, mashed potato, vegetable & roll (boneless chicken fillets char-grilled & dusted with lemon pepper seasoning). 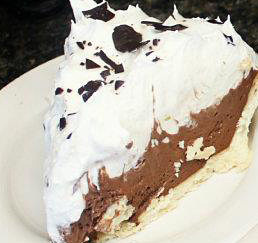 Our fresh pies are great alamode, too! And look in the dessert case for cakes, pastries and puddings.